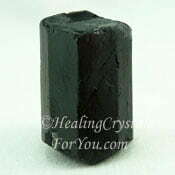 Dravite Tourmaline is the deep brown, very dark, almost black variety of Tourmaline, and like Black Tourmaline has a strong grounding action. Like other Tourmalines it is also quite soothing, and has a calming, relaxing and reassuring effect on the body. It helps you to come down from the higher planes and to make a stronger earth connection. 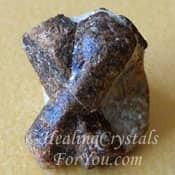 This crystal is deeply cleansing energetically and helps to grant you added stamina when you are going through onerous situations. The meaning of its name is related to the Austrian mineralogist Drave, and may also be spelt Dravide. Its color is is in various shades of brown, from the darker brown almost black stones through to the gemmy golden brown stone. The brown variety of Tourmaline is found in some of the same places as Black Tourmaline, and may be easily confused with it as the two stones are quite similar. Places where it is found are in Brazil, Austria, Slovenia and in Australia. 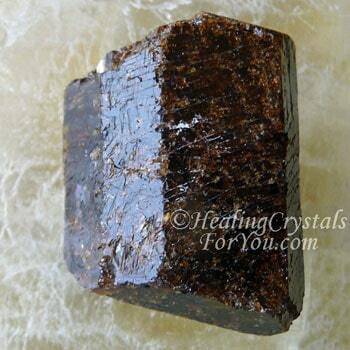 This brown variety of Tourmaline helps to bring the shadow side of yourself to your consciousness. 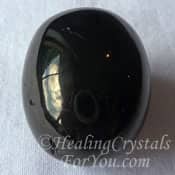 This stone assists you to let go of any old emotional problems that it brings to your attention so you can deal with the issues instead of burying them and allowing them to fester. 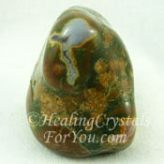 This brown crystal helps you to accept yourself, and it improves your self esteem, as it also helps you to love yourself. 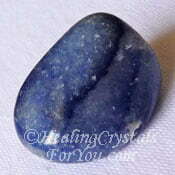 Many of you may feel that it is exciting to work with stones that take you to the higher realms. This is easy to understand, as it is not only very interesting but it also brings spiritual growth, and often growth of psychic abilities. But if you work only in the higher realms, problems may be ignored, only to come out unexpectedly and be in your face because they have not been dealt with. If you have found that your emotions sometimes get out of control over nothing, look at what the 'nothing' was. It may relate to an old issue you have not dealt with. 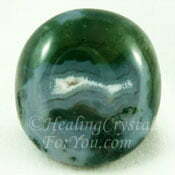 This stone is good to help you to pull out those old issues and look at them. This may help you to accept old parts of yourself, and the way that you have handled a situation in the past, that you have been trying to ignore. 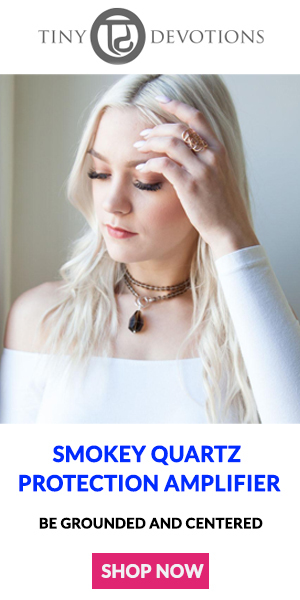 It has a quite peaceful and soothing energy which helps to keep you calm when life gets stressful and is also good to enhance your creativity. 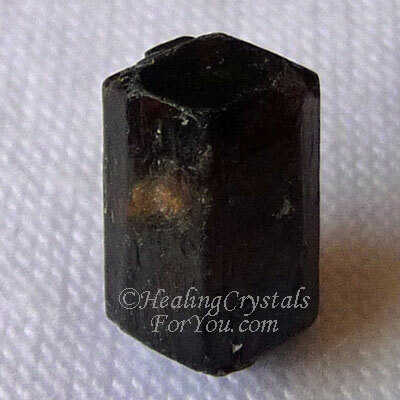 The metaphysical properties of minerals like Dravite Tourmaline can be particularly helpful if you have been working a lot with high vibration stones. It may be especially useful if you have not been taking action to ground yourself fully afterwards. 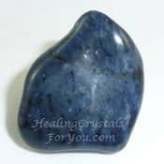 It is a strong spiritual grounding stone that works to help you to connect more easily and more deeply to the earth star chakra and to the energy of Mother Gaia. 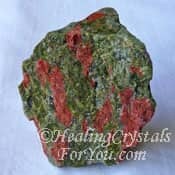 Dravite Tourmaline is deeply cleansing energetically and helps to give you added stamina when you are going through difficult situations. 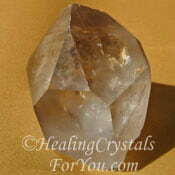 This crystal helps to inspire courage and persistence to keep going when you would rather give up. 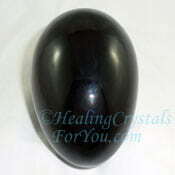 It has a calming and soothing action that assists you to feel more loving towards yourself. 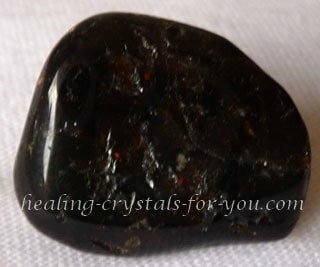 The vibration of this brown crystal aids you to release negative energy, while it fills your auric field with high vibration loving energy. If you allow this loving energy to resonate within you, it will help you to accept that all of you is perfect, even the parts of yourself that you may find unacceptable or unlovable. 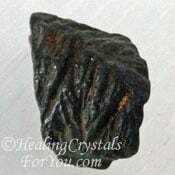 Dravite Tourmaline assists you to feel compassion for all aspects of who you are. 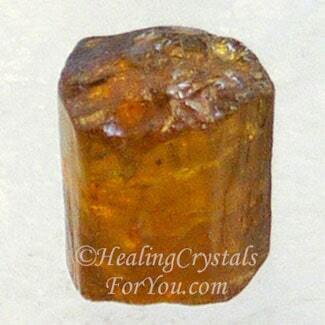 This brown crystal brings a gentle and soothing healing of your emotional body, as its energy within the heart chakra helps you to relax and let go. 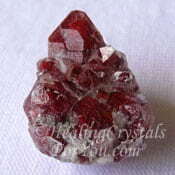 Dravite is an Aries birthstone so it is on the zodiac birthstone list. This means that you may be able to find it made into jewelry. Lovely jewelry made from the beautiful golden Dravite may also be found selling as Champagne Tourmaline or as Golden Tourmaline. It is a quite stunning clear golden brown color. Dravite Tourmaline crystals come in a range of colors, from this clear golden brown color through to a deep brown, very dark, almost black variety of Tourmaline. It helps you to come down from the higher planes and to make a stronger earth connection. It has a strong action to aid spiritual grounding and like other Tourmalines is quite soothing, and helpful to assist at times of stress. 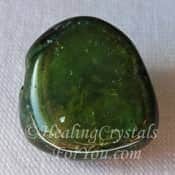 Wear this stone as jewelry or keep a piece of stone in your pocket, as this will help you to benefit from its strong grounding energy. 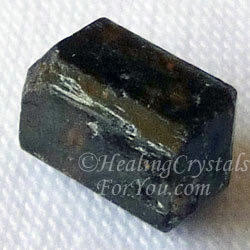 Dravite Tourmaline has a calming, relaxing and reassuring effect on the body. Use it to help you to deal with anxiety and worry. 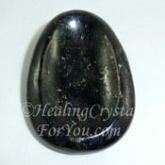 Keeping this stone on you at times when you are feeling like life is hard to cope with, is one of the methods to relieve stress. 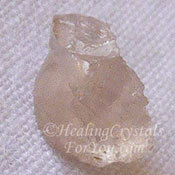 It has a strong healing energy to aid the organs within the area close to the base or root chakra. It helps you to better absorb the nutrients from food and may help to heal problems of the intestinal tract, including irritable bowel syndrome and crohn's disease. Dravite Tourmaline will also aid the lymphatic system and is a strong stone to heal the blood, to reduce spots on the skin and to stimulate regeneration within all of the body. This brown variety of Tourmaline has a strong energy to aid you with overcoming addictions, and works well when combined with other strong stones for this purpose. 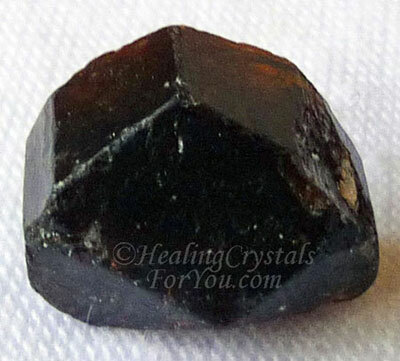 This deep brown crystal is highly cleansing energetically and helps to contribute added persistence when you are going through tense, problem situations. It aids you to have a more profound acceptance of yourself, especially the areas of yourself that you may not want to accept and would rather did not exist. As you allow yourself to accept what is, with this comes the ability to move on with your life. "Before God we are all equally wise and equally foolish." Albert Einstein. There are a now quite a few crystal books available, and so it is relatively easy to buy one that will help you to learn more about crystals, rocks and stones. I have written reviews on some of my favorites, just to give you an idea whether a certain book will benefit you. Some are bigger, much bigger like the Melody Encyclopedia, and I have to admit to thinking its one of the best on the market. But its not one to take with you as its very big and very heavy. I love Judy Hall's books, and they are a good size too, not to heavy. Its a good idea to get yourself one, if you are into crystals, and start with a basic one like The Crystal Bible. If you are unsure about which crystal book to choose and need some help, before you buy one you may benefit from reading my book reviews then get yourself a crystal book! As one of its strong actions is its vibration to aid grounding, to accentuate this energy you may combine it with other grounding stones. These include stones such as Jet, Hematite, Sardonyx, Tiger Iron, Black Tourmaline, Green Tourmaline, Black Obsidian, Smokey Quartz and Moss Agate. To aid its vibration to fight addictions, you may combine it with other stones for overcoming addictions. 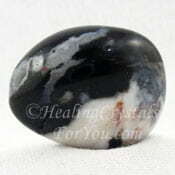 These include stones such as Blue Aventurine, Black Obsidian, Thulite, Datolite, Hematite, Tantalite, Astrophyllite, Staurolite, Amethyst Crystals, Unakite, Dumortierite, Rainforest Jasper and Smithsonite.